A simple, delicate design, these earrings were designed to complement the #3458 pendant. 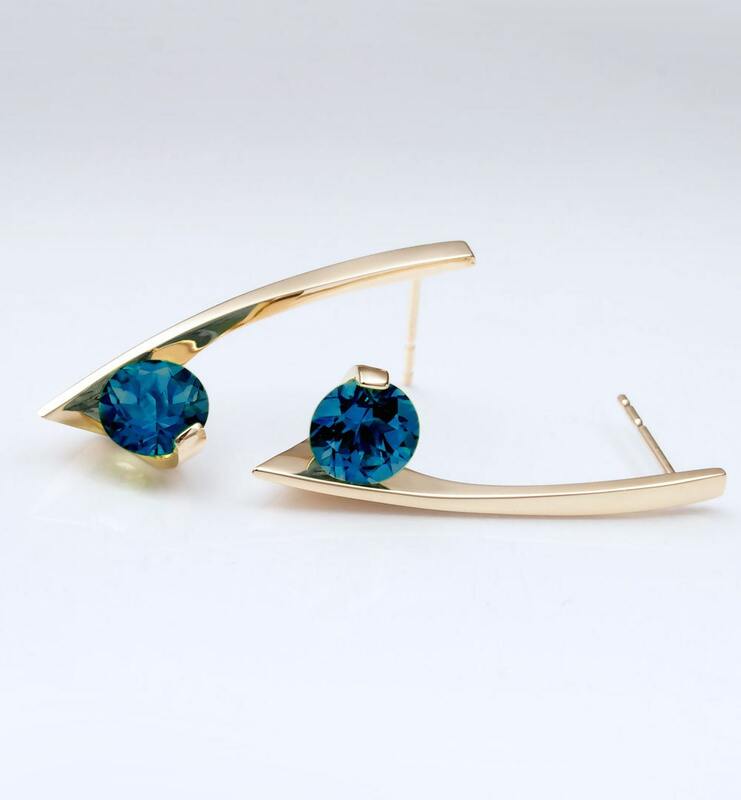 Each earring measures 27.6mm x 7mm, or 1 1/16 x 1/4 inches, and holds a 6mm London Blue Topaz. Helen and David are wonderful. 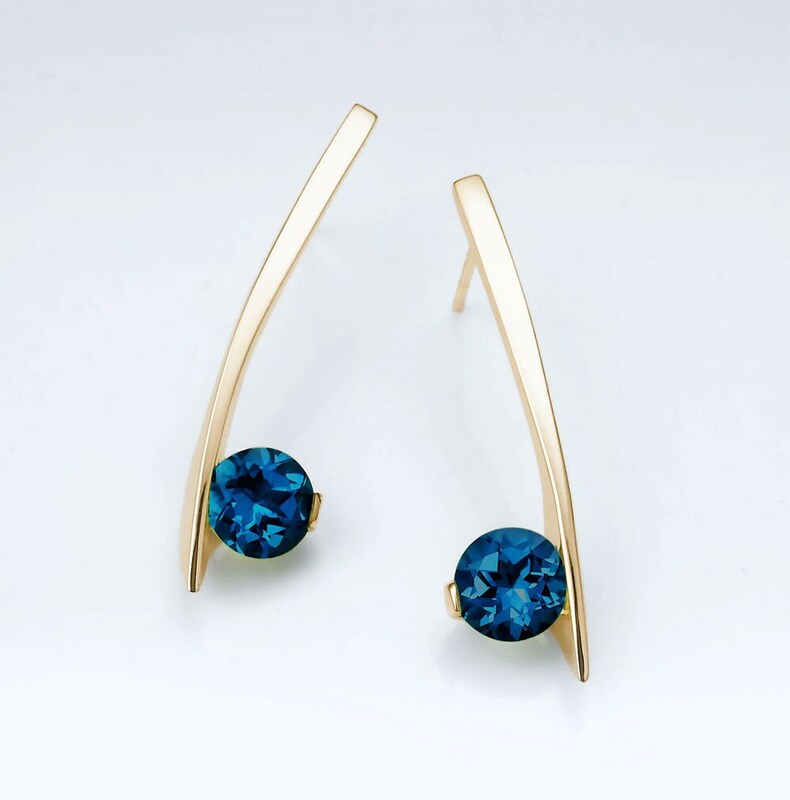 This pair of London blue topaz earrings are more stunning in person than the online picture. They will be a fabulous addition to my jewelry collection. 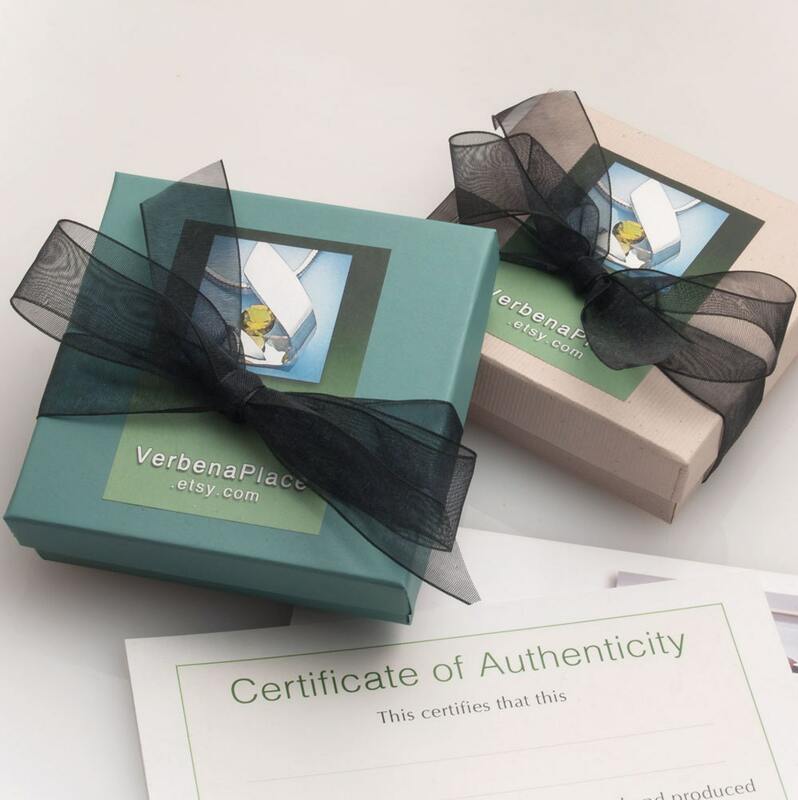 They were shipped very quickly and packaged very well. I am thrilled with my purchase and will definitely keep them as a favorite on Etsy and hopefully be back as a future customer. Thank you for your artistic vision David. The simplicity of this design is so appealing, and the stones show up so beautifully by the face. I have a short neck, and the length of these is perfect. They don't interfere with winter's higher collars.